For the inexperienced event planner, one of the most common errors to make is to overlook the catering arrangements. And often, even if they do remember to contact a handful of catering companies that operate locally, they're not quite sure what to expect. Pumpernickels has worked with many "first timers" over the years who weren't sure what they should be asking, what exactly it is that we do and the ways we can assist them in the preparation of their event. As a result of networking with other catering companies, we know that this is a common occurrence and there are many myths that circulate about our industry that suggest the services we provide are an extravagant expense, which couldn't be further from the truth. Catering companies can more value to an event than most people realise and during this article we're going to talk about what you can expect from such a collaboration. If you believe that catering companies simply prepare a range of high quality food that the client orders, you're only familiar with a tiny part of what these services can do for you. We do, of course, prepare virtually any type of food you can imagine to an impeccable standard but our role in the organisation of an event entails much more than that. We get heavily involved in the planning of your event, making you aware of the various arrangements (we can make a checklist for you if you wish) that you need to make and educate you with regards to the various options that are available to you for each of these arrangements. We go to great lengths, looking at your event from every perceivable angle and help to plan everything down to the last detail (if you would like us to, of course). Our goal is always to bring your vision to life and design a menu that ticks all of the boxes. We are then ever present on the actual day, both "behind the scenes" taking care of the preparation of food and beverages and at the front of house making sure your guests have everything they need. Many catering companies will also help to set up the venue and help with the clean-up operation afterwards. In order to do the best job possible, catering companies need and expect your input. If left to "get on with it," while the menu might be high class, it might not be exactly what you're looking for. Expect to provide the following information when collaborating with catering services. Date of Your Event - Before discussing the specifics of your event, catering companies will first need to establish whether they have availability for the date that you require, so you need to know exactly when your event will be held. It's always advisable to give as much notice as you possibly can, as most good catering companies will get booked up and they might not be able to accommodate last minute requests. Event Specifics - You need to have as many details about your event to hand as possible when contacting catering services. To start with, they will want to know how many guests you are expecting to have, what type of event it is and generally what type of food would you like served at the event (a selection of drinks and appetizers or a full blown three course meal?). They will also ask about where you will be holding the event. If you haven't booked this yet, they may well know a few locations that they can recommend (Pumpernickels could recommend several nice venues in Toronto, Mississauga and other parts of the GTA). Your Budget - Always enter the conversation with catering companies knowing how much you are looking to spend roughly. Many people skirt around this issue but caterers would rather know where you stand from the outset. You also need to decide on the level of assistance you require; would you just like help with the menu and food preparation or would you like more of a full service package like the one we outlined earlier (most catering companies will offer various "packages" if you ask). This will affect the quote that you receive considerably. Ideas About the Food - While we can help you with the specifics, you first need to guide us in the right direction. Are you catering for a crowd of fussy eaters? Or do you have a diverse group that could need a little bit of everything? We love clients that are passionate about the event they are organizing and bring plenty of ideas to the table with regards to what would be the perfect end result for them. That provides us with something to work with and a great starting point. Punctuality - Catering companies appreciate that you most probably have an extremely busy schedule, but we can't do our job properly unless you get back to us with the information we need quickly. We will do everything that we can to ensure you can trust that we will do an excellent job, but should your opinion be required on a draft menu that is put together or samples need to be tested, catering companies would expect you to oblige punctually, rather than putting it off for as long as possible. Hopefully this article has provided you with an insight as to what catering companies can do and what they expect of you should you decide to work with one. 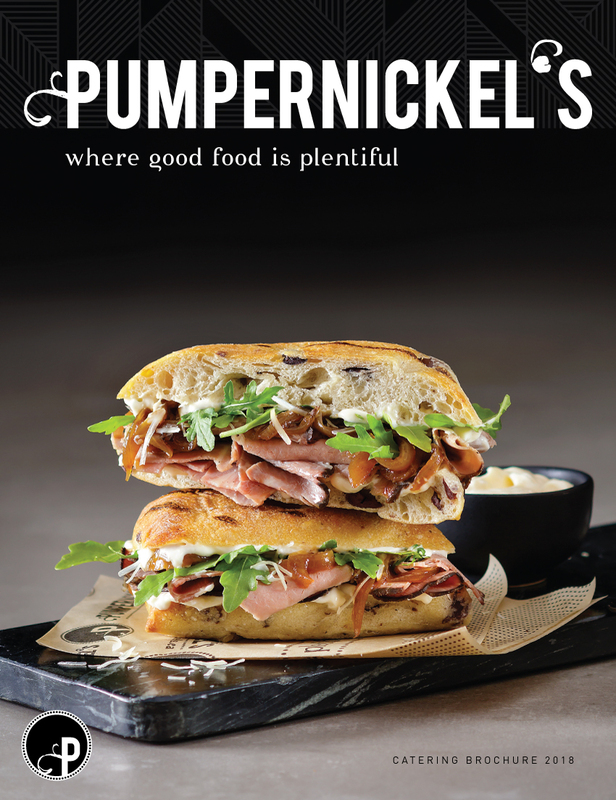 If you would like to speak to a member of the Pumpernickels team about event catering or party catering, don't hesitate to get in touch with us.